There are myriad support groups available to those who are looking to speak with others in similar situations. On this page we have included a selection of relevant websites and organisations that we feel may be of help. Where it all started! Established in March 2017, the discussions within the group are aimed towards a younger audience and provide support friendship for those living with the condition. We now have several hundred members of all ages from all corners of the world. A UK based charity, providing support to patients, carers and family members coping with FND. They organise various events including an annual UK awareness day in March. 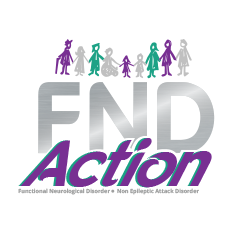 A website written and compiled by one of the leading researchers and specialists in FND. Fantastic resource for those looking to further understand their condition. With additional elements particularly geared towards medical professionals. A registered charity that aims to develop a network of peer led meet ups / support groups. Meetings have already taken place in various places around the country which, where possible, are linking directly to NHS services who recognise the value of this type of approach. An international charity spreading awareness and providing support to all those affected by FND. They run an annual international awareness day in April. Has a patient registry for those looking to become involved with research and studies. Run within local hospitals to help understand your treatment, support liaising with any medical professionals, advice in raising concerns about your treatment. A UK charity advocating for the relief of sickness and the promotion of good health by the provision of advice and support to those suffering Chronic Pain. FMA UK was established to improve the lives of people with fibromyalgia by increasing awareness of the condition throughout the UK and elsewhere, and improve the awareness of, and access to treatments for fibromyalgia. In addition, the Association provides medical information for professionals and operates a national helpline (0300 999 3333). The independent voice of Fibromyalgia in the UK. UK Fibromyalgia was formed in October 2000 and ever since has worked with all groups and all charities to provide an independent overview for Britain’s Fibromyalgia community. Action for M.E. takes action to end the ignorance, injustice and neglect faced by people with M.E. We do this by meeting need now to improve the lives of people with M.E. while taking action to secure change for the future. Alongside providing information, support and advice to people to help improve their health and well-being, Action for M.E. works with professionals to enhance the care and support that people with M.E. receive and funds pilot research projects to advance knowledge of the illness. The ME Association aims to support people with ME/CFS through all stages of their illness. The organisation runs a support helpline (0844 576 5326) active 10am-12pm, 2-4pm and 7-9pm.